$9.95 US + shipping GET IT NOW! 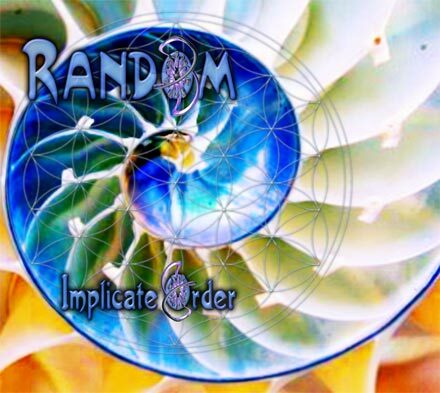 Artist Album "RANDOM - Implicate Order"
Random is the at the front of the pack of PSYTRANCE artists coming from the highly anticipated hot bed in the usa- SAN FRANCISCO. He has toured the US extensively testing his music on dancefloors and festivals, clubs and outdoors, night time and day. His flavor is ripe for the harvest and the music is perfectly seasoned for maximizing your pleasure centers! Not only has this genius of the psychdelic wizardry been zapping packed dance floors silly but he has been doing it for many years both as one of the Bay Areas first GOA/PSY djs (Flawless mixing is his trademark) but also as one of the pioneering projects Producing and releasing music as early as 2001! The world is ready for this dance floor sensation to storm you into bliss!!! Random also co-produces tracks under the titles: "CHROMATONE and RANDOM", "PHOENIX FAMILY" and "MEGADROP".